The University of Bridgeport recently released an article detailing the NASA Connecticut Space Grant awardees that attend their institution. 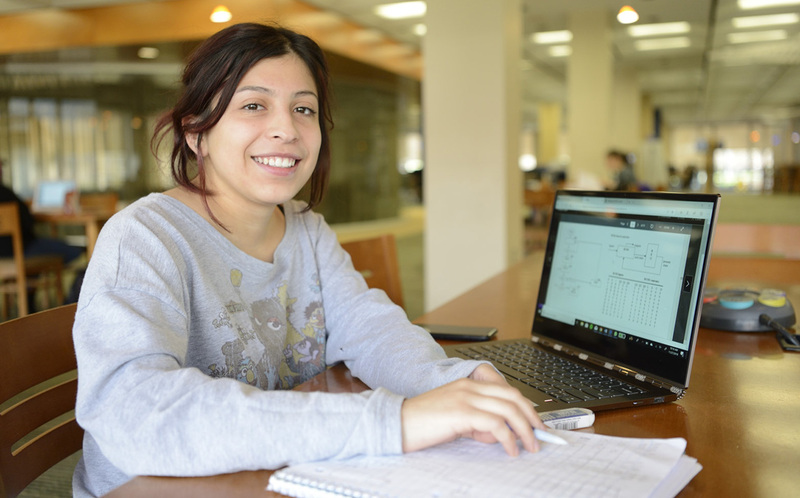 Genesis Paz, a first generation college student studying Computer Science was awarded Undergraduate Scholarship Award. The article details her interest in engineering, which began at an early age while watching her Uncle repair different appliances. The article also features details about the Faculty Research Grant awarded to Dr. Khaled Elleithy, the associate vice president for graduate studies and research at the University of Bridgeport. He is working with Dr. Akram Abu-aisheh (University of Hartford) to study satellite Internet and networks. For the full article on these awardees, please visit the University of Bridgport’s website or click here. Congratulations again to Genesis Paz and Dr. Khaled Elleithy!